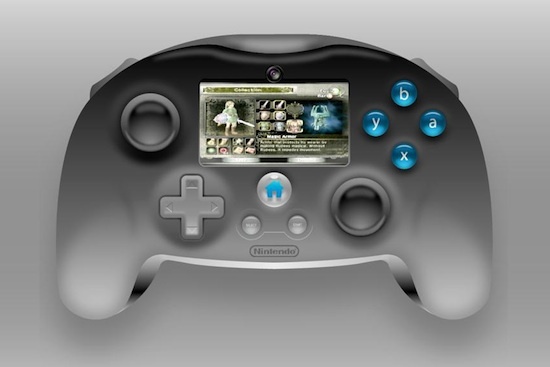 A new rumour out about the next generation of Wii consoles involves the controller getting a fairly big screen on it. The new system is known as the Wii 2, or possibly the Wii HD depending upon who you listen to. While it still isn’t clear when it will be on sale or how much it will cost there has already been some great gossip about the controller which won’t be a Wiimote any more as is set to be a little larger in size. It seems that there is a chance that the new Wii will be getting a controller with a 6.2 inch screen on it. The reason for putting a screen on the controller isn’t clear but there are the theories around just now as to why it could be important. 1. To act as a way of taking pictures of the player and putting them into the game. 2. To act as a mini viewfinder. 3. To put on info such as a map or an inventory which the user might want to have close to hand during the game (as on the DS and 3DS). Word has it that the new Wii will let you hook up one of these controllers or one from the earlier generation of machines, to allow backward compatibility with the games. At this stage it’s unknown when the next gen Wii will be released although late next year is the most realistic sounding release date for the new console. As always we can expect to hear lots of gossip and rumours before then. What use would you prefer to see on the Wii 2 controller?